Loved and praised as “Sasaki Theater,” this one-and-only Japanese restaurant has become a long-run hit on the old strip of Gion. With charisma and passion, Chef Hiroshi Sasaki has transformed his kitchen into a stage where he performs a new kind of culinary entertainment, packed with fun and surprises. 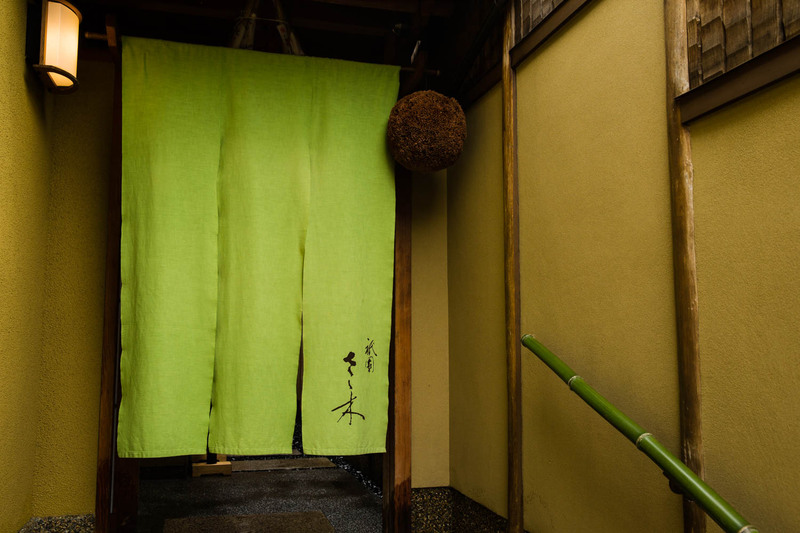 Perhaps one of the most difficult Kyoto restaurants to get a reservation at, Gion Sasaki is located on a quiet street just a few blocks from Kennin-ji, one of the oldest zen temples in the historic capital. Renovating a 90-year old wooden house, this is where Sasaki weds old Japanese traditions with extraordinary ideas. It’s this kind of creative and flexible thinking that has kept him ahead of the game. As you walk by the beautiful Mahogany counter, you wonder if you mistakenly walked into an Italian pizzeria, spotting the huge brick oven behind the chef. The idea of installing a western oven into a Japanese kitchen came to him when he and a group of gourmands took a trip to a dairy farm in Okayama to try out their lovely cheeses and fresh-baked pizzas. The crew, including Kiyomi Mikuni, one of Japan's most famous chefs for French cooking, and food writer Takeshi Kadokami, decided to do a tasty experiment with everyone bringing a special ingredient to bake in the brick oven. Despite some beautiful pieces of meats, the abalone that Sasaki brought was the surprise winner. It was so delicious it pushed him to move his restaurant to a new property in 2006 where he could install a brick oven. 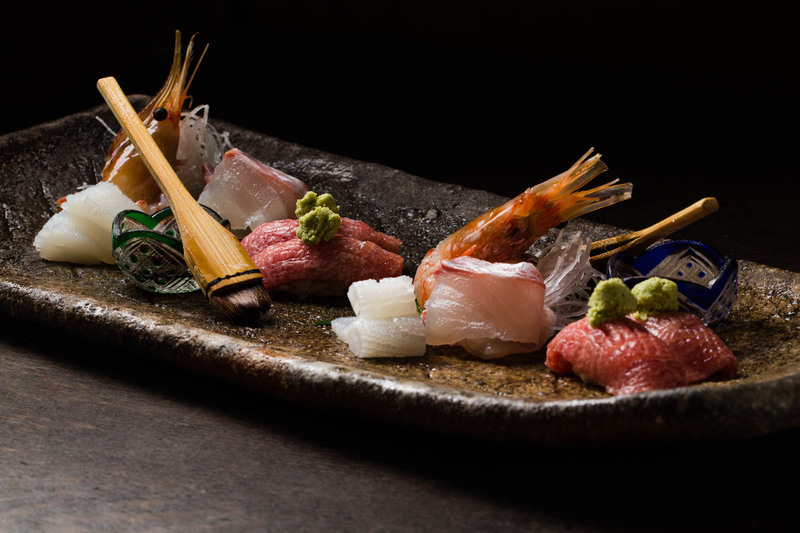 While the core of Sasaki’s cuisine is traditionally Japanese, his final product is creative and experimental, incorporating new ideas from various cultures. 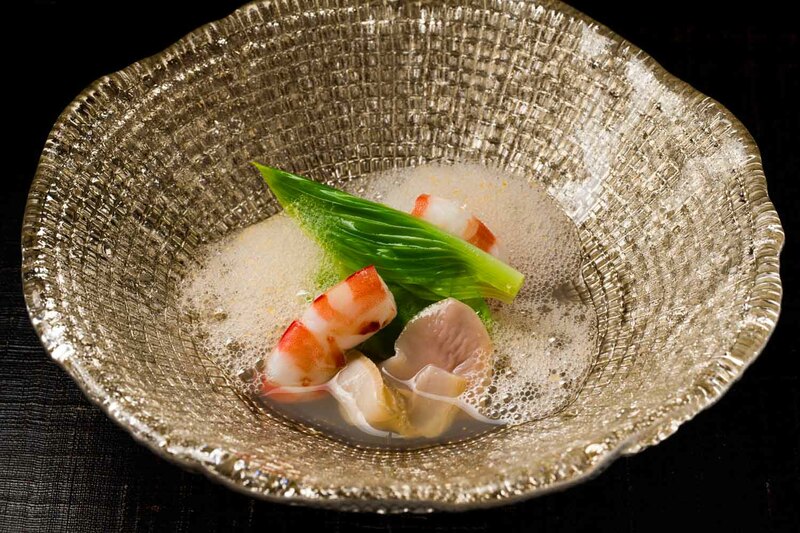 The appetizer, served in a breathtaking mosaic bowl, are pieces of kuruma shrimp, Japanese clams, and urui leaves, moistened in flavorful dashi that brings about deep aromas of the sea. He coats the surface of the broth with umami-packed froth, making the dish resemble a bowl of French bisque. 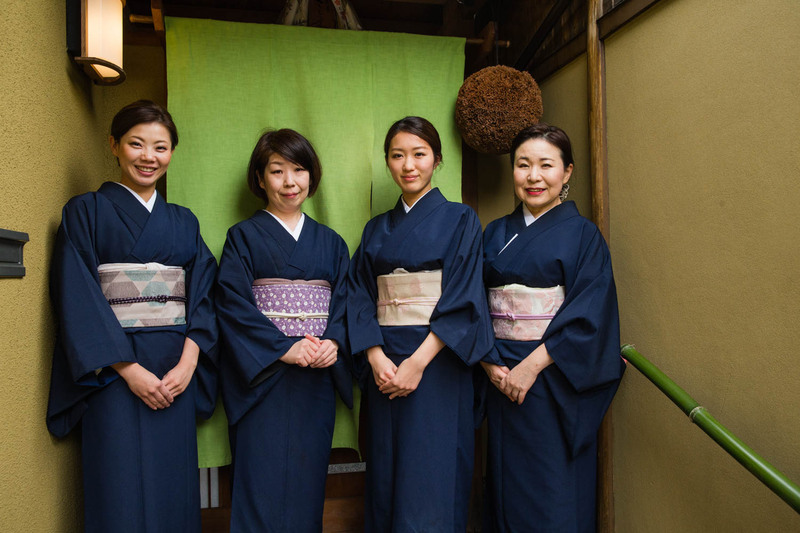 Owan, the soup, is at the heart of traditional Kyoto—and also Sasaki’s—cuisine. Using carefully-brewed dashi broth, he curates a gorgeous bowl by selecting the best combination of seasonal ingredients. 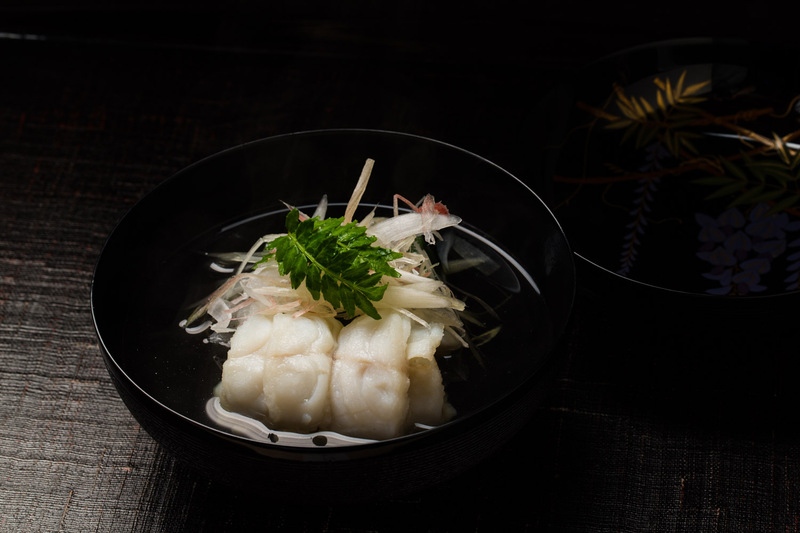 The day’s soup features blanched pieces of fat greenling with homemade yomogi tofu, sprinkled with heaps of aromatic Japanese myoga ginger. Enjoy the beautiful wisteria flower drawn on the inside of the lid as you open the smooth black lacquer bowl. Sasaki never forgets to add an element of fun to his dishes. For sushi, instead of serving single pieces to each guest, he puts together a platter of fresh shrimp, squid, fatty tuna and other seasonal white fish. Next to the sushi is a piece of hake, Japanese wash brush with a long flat handle, inviting guests to dress the pieces themselves with soy sauce. Next, the oven takes centerstage. Sasaki has experimented and perfected cooking all varieties of foods in the oven, including roast beef, abalone, eel, crab and vegetables. All roasts are made in big portions and shared family style with all guests. For the final rice course, the offerings are diverse and all sorts. Sometimes he serves takikomi gohan mixed rice, infused with aromas of herbs and vegetables. On other days, it could be porridge, sushi, Chinese fried rice or Korean bibimbap. 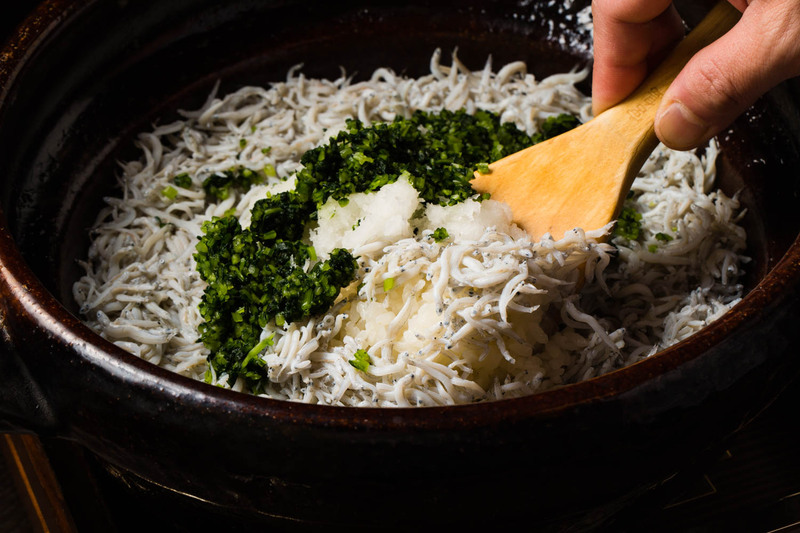 The day’s rice was a bowl of sweet whitebait and grated daikon radish. Squeeze some sudachi citrus for a refreshing finish. Sasaki selects every ingredient, deals with the producers himself, and isn’t afraid to pay for the best produce. “Why on earth would I bargain if I want the best?” he says, rather plainly. For fish, he buys from a range of fishermen in Nishiki Market and Central Market as well as some regional ports. His extensive network often brings him to incredible produce. For example, the fisherman in Hokkaido he buys sea urchins from was recommended by Alain Ducasse, the famous French-born Monégasque chef. The restaurant’s fresh vegetables come from Akashi, an experienced vendor Sasaki has known for more than 30 years. He also have selected two vendors for all his meats, and a rice farmer, his best friend from high school, that grows excellent Hinohikari. Dried in direct sun, the grains have perfect texture and sweetest aroma. 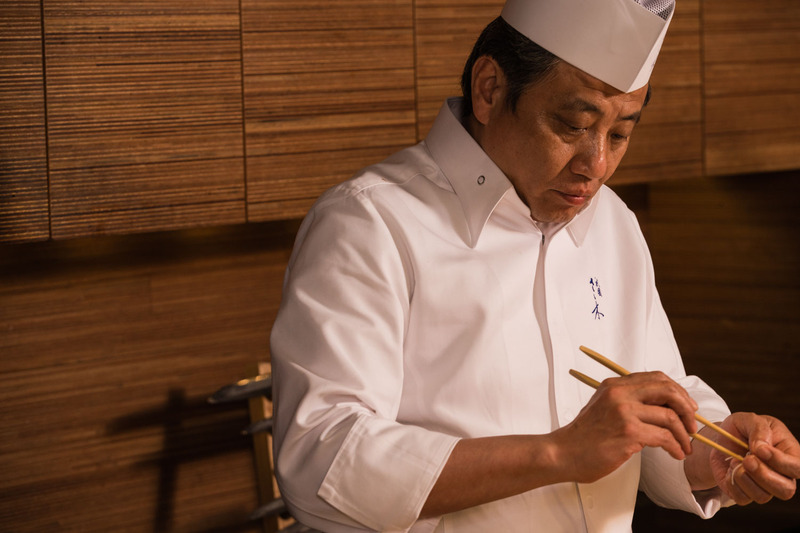 While seeking for the best ingredients, Sasaki seldom cares about prestige. For example, he buys his whitebaits from a fisherman in Muromune port, an area not known for whitebaits, because he knows the family through his staff and the catch is very good. 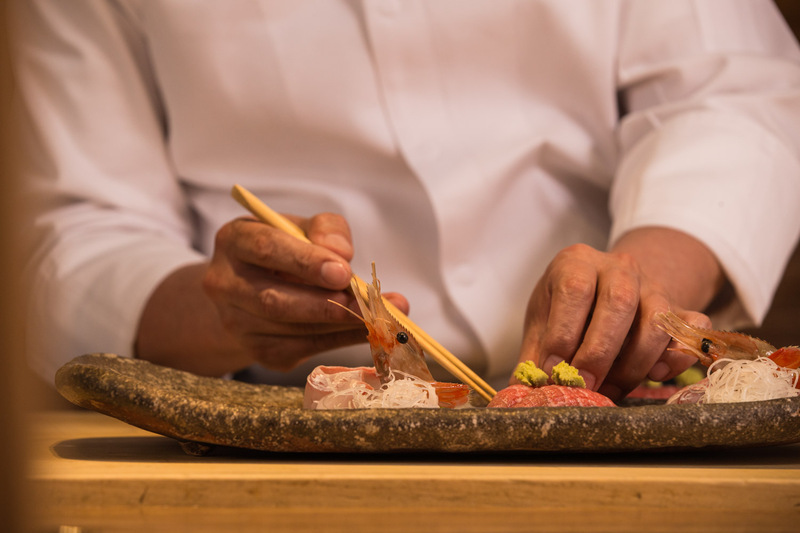 Born in Nara and raised in Shiga, food runs deep in Sasaki’s family tree. Over three generations, his family has been involved in some kind of food business. His father still runs a local Japanese restaurant with his mother attending every guest. He has uncles and cousins with sushi restaurants and ryokan inns. It was only natural for young Sasaki to gravitate towards a career in fine dining. Growing up with parents who worked late every evening, his home was often a hang out for his schoolmates. As the generous and fun host, he would often create his own recipes, like fried rice or hamburgs, and serve them to the hungry crowd. It was then he discovered the joy of making people happy through food. After graduating from high school, he began working for a traditional auberge ryokan, Rinkoan, in Shiga close to home, marking the start of his culinary training. Thanks to his stubborn and hard-working character, he rose up the ranks at an amazing speed and was second in line to manage all the nimono (simmered) dishes, a high status for a 24-year old. He had promised himself that he would ask his girlfriend to marry him when he rose up to that rank. He also learned the challenge of managing and teaching staff who were older than him. He then moved to Kyoto to join Fujita, a traditional kaiseki restaurant in Pontocho, where he spent the next 8 years to become the head chef. Finally in 1996 at the age of 34, he decided to open his own restaurant in Gion. His first restaurant was a tiny place with just 5 seats at the main counter and two small private rooms. He moved to the current location in 2006. His entertaining and delicious meals quickly drew crowds, making Sasaki Gion among the most popular restaurants in Kyoto. “The most important thing is that the guests enjoy the meal,” Sasaki says. “Delicious food is a given.” If a guest leaves saying how delicious the meal was, he gives himself a 8 out of 10. He only gives himself a 10 out of 10 if a guest leaves saying how fun the meal was, and also comes back to make another reservation. Known for his sensational styles, Sasaki’s influence also spreads quickly across Kyoto’s dining scene. 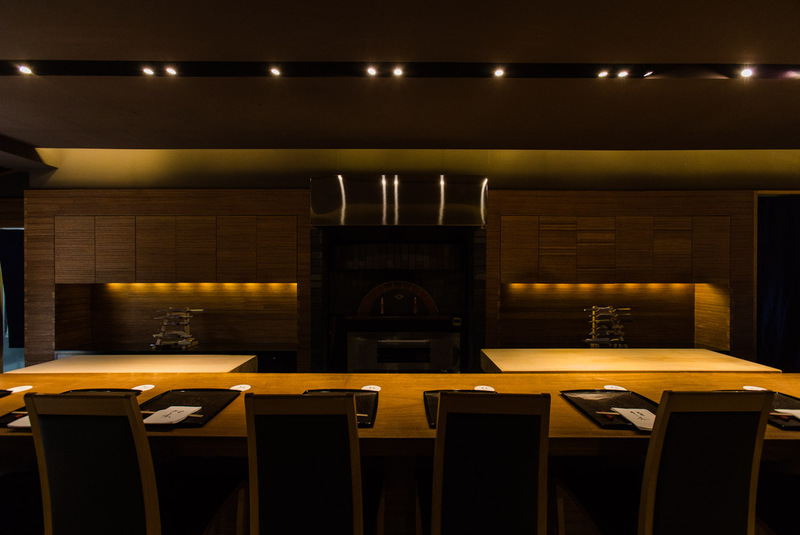 For example, within months of him installing a brick oven, the oven maker in Gunma got a rush on new orders from as many as 23 Kyoto restaurants of all genres. He has also collaborated with many great chefs both in Japan and overseas. With Kyoto being a sister city to Paris, he has experienced a number of collaboration projects with celebrated French chefs, such as Alain Ducasse, Dominique Corby and Thierry Marx. 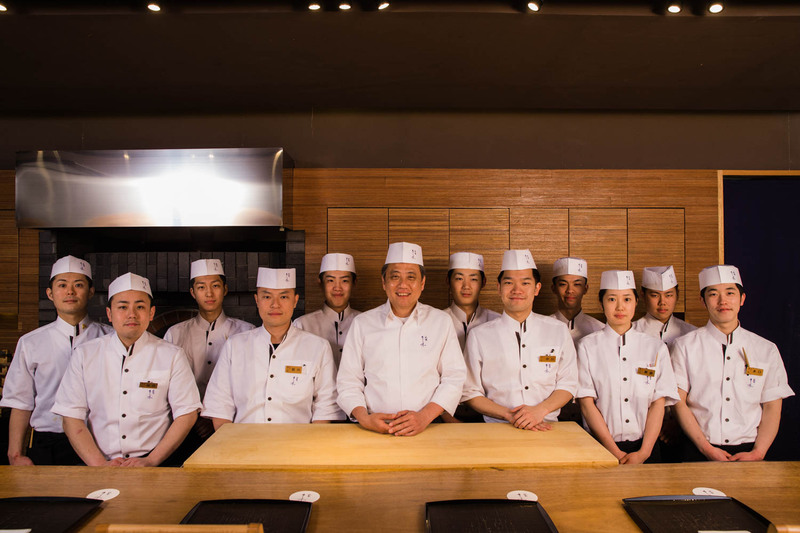 He is proud of all six apprentices of his that now own restaurants of their own, including Yosuke Ogawa of Ogawa and Masayoshi Nishikawa from Gion Nishikawa. Setting his roots in Kyoto, he seeks for inspiration in Paris, a city he has now visited over 30 times. “Just like Kyoto, Paris establishments don’t let strangers in,” Sasaki observes as he finds many parallels between the two cities with their large gates and beautiful architecture. “I love Paris and would love to open a restaurant there. And make it into a Michelin restaurant too.” Just like he’s been all along, his ambitions remain big and strong. Sasaki Theater can’t run without its brilliant staff. The team is young and passionate, welcoming the guests with great energy and enthusiasm. He often moves them around between Gion Sasaki and his chic izakaya, Gionrakumi, in order to have them learn from the different set up and clientele. “I want them to understand what it takes to run a business,” Sasaki says, reiterating his passion to raise the next generation of top Kyoto chefs.